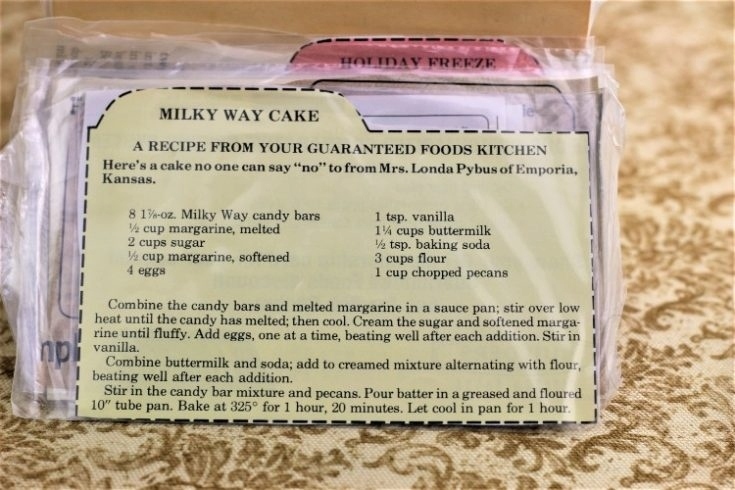 Front of the recipe card for Milky Way Cake. 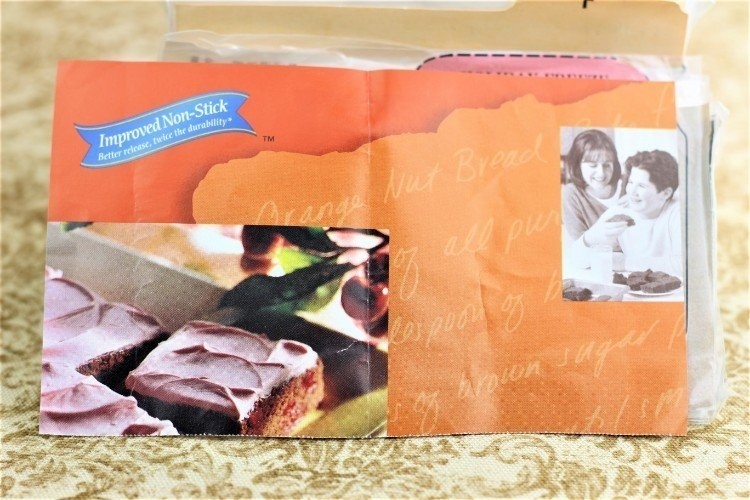 Back of the recipe card for Milky Way Cake. There are lots of fun recipes to read in the box this recipe for Milky Way Cake was with. Use the links below to view other recipes similar to this Milky Way Cake recipe. 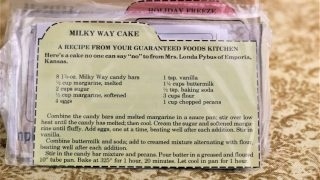 If you make this Milky Way Cake recipe, please share your photos and comments below! Combine the candy bars and melted margarine in a sauce pan; stir over low heat until the candy has melted; then cool. Cream the sugar and softened margarine until fluffy. Combine buttermilk and soda; add to creamed mixture alternating with flour, beating well after each addition. Stir in the candy bar mixture and pecans. Pour batter in a greased and floured 10" tube pan. Bake at 325° for 1 hour, 20 minutes. Let cool in pan for 1 hour.